I love a canvas with lots going on. I’m not a big space-one stitch kinda gal. This canvas has lots going on and we’re only halfway there. 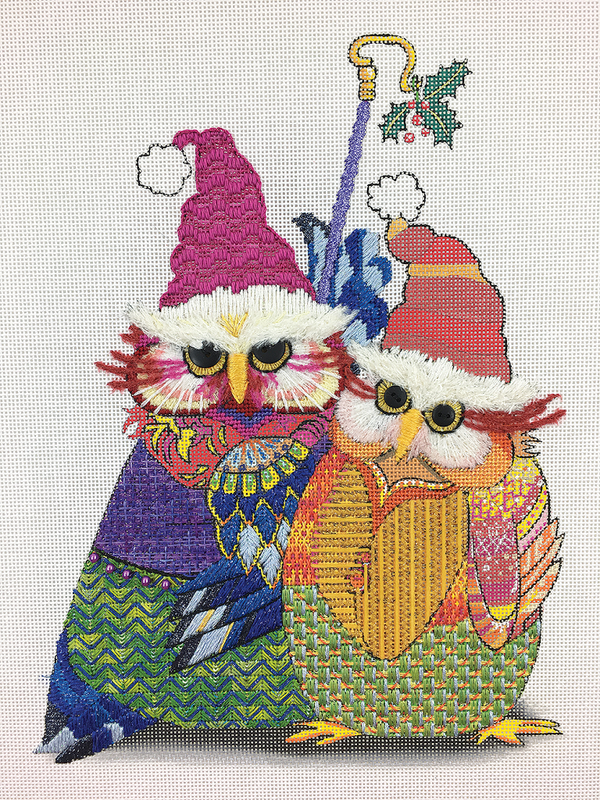 Today was the second lesson of the Holiday Owls by Brooke Connor! Our challenge was mostly about the feathers. The owls have great detailed feathers on the lower part of the their bodies. The question is, how do we stitch them? 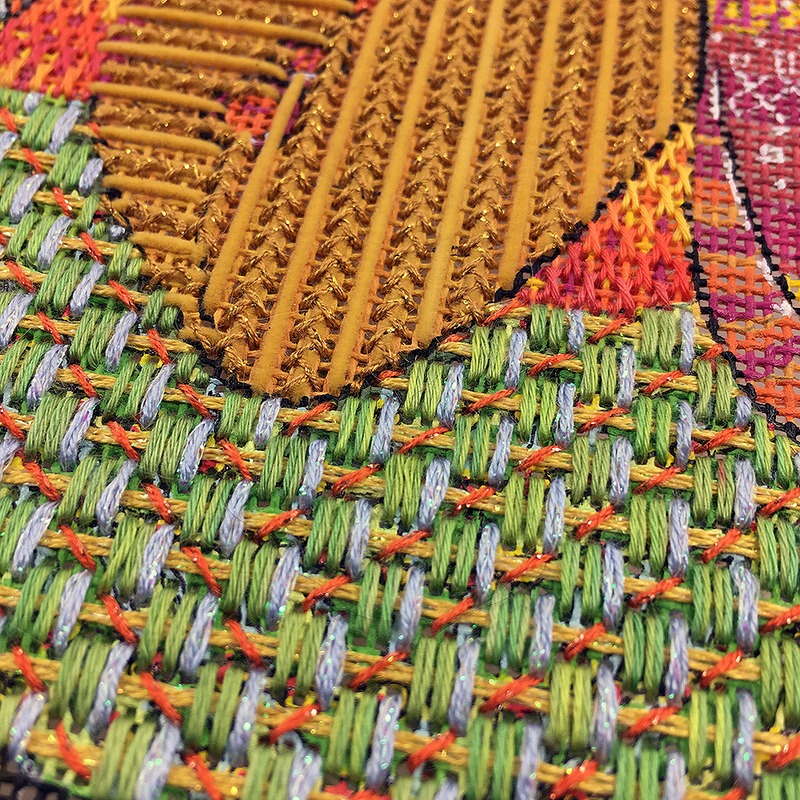 Basketweave would work with lots of color changes but that wasn’t my cup of tea. We could do leaf stitches or ray stitches but I wanted to do something different. 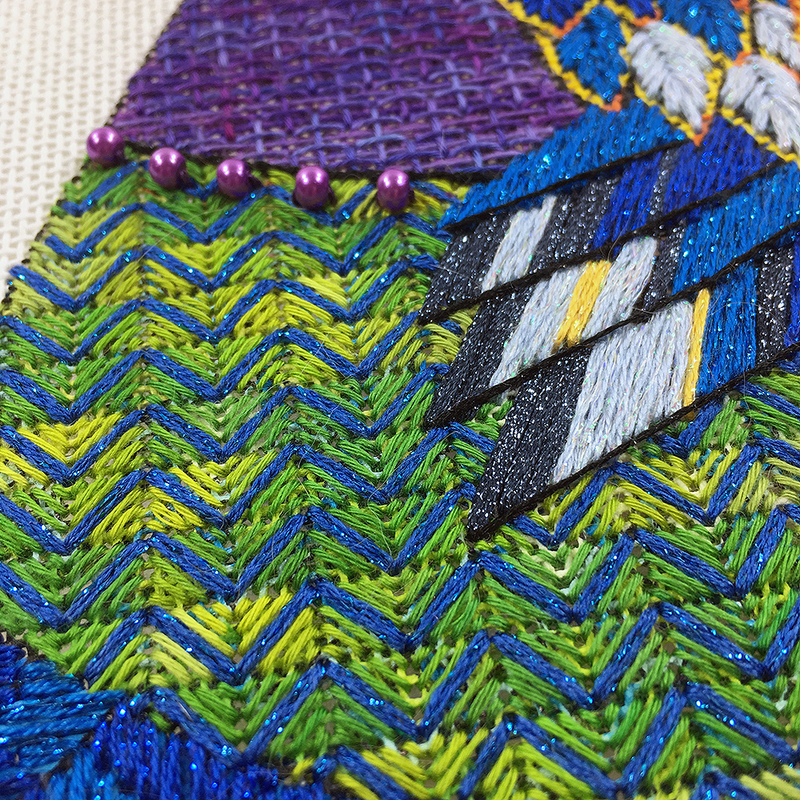 I wanted to stitch them with a stitch so that they actually give the feel of feathers and incorporate all the fun color changes that are iconic to Brooke’s art but yet are unexpected. Here’s what I came up with. 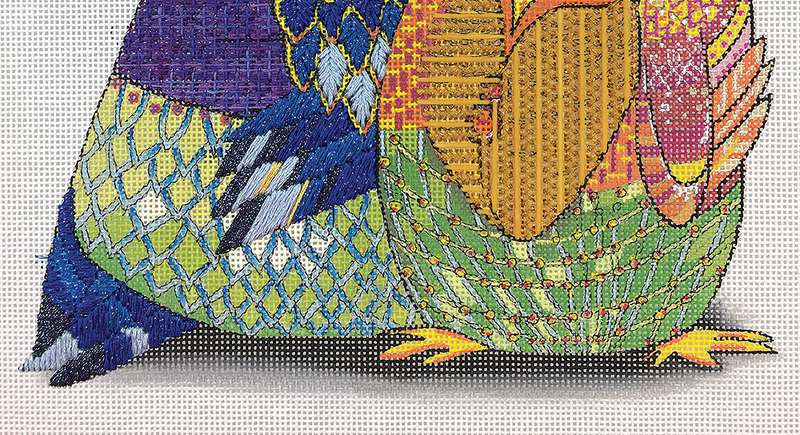 Both owls feature Color Dreams Floche as the main thread for the feathers. YAY! They are both super fun to stitch. You just have to ignore what is painted on the canvas. 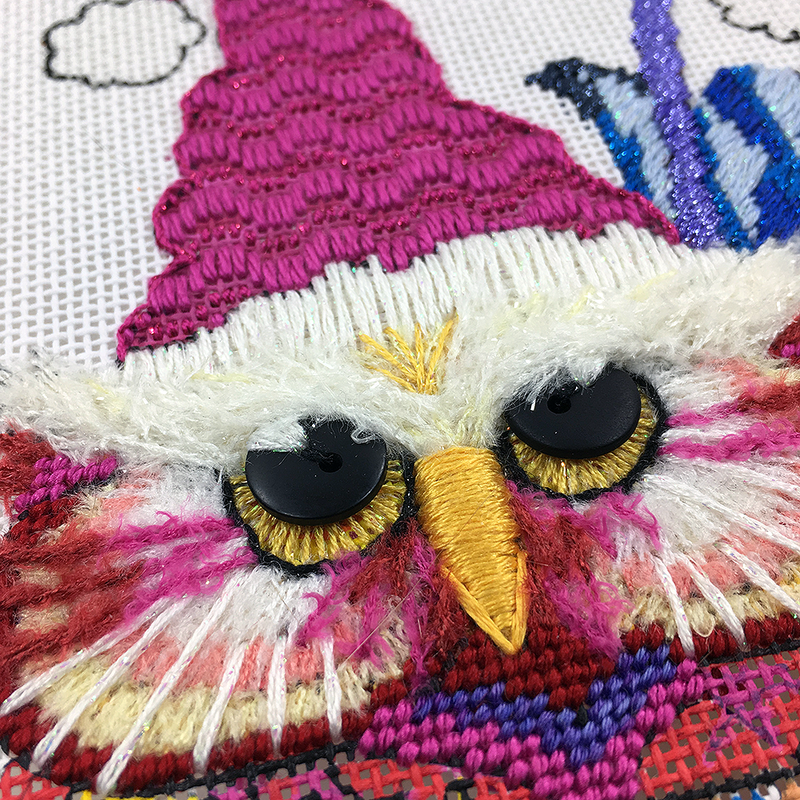 We also stitched the left owl’s pink hat and finished up the right owl’s face. It was a fun filled day at the beehive. 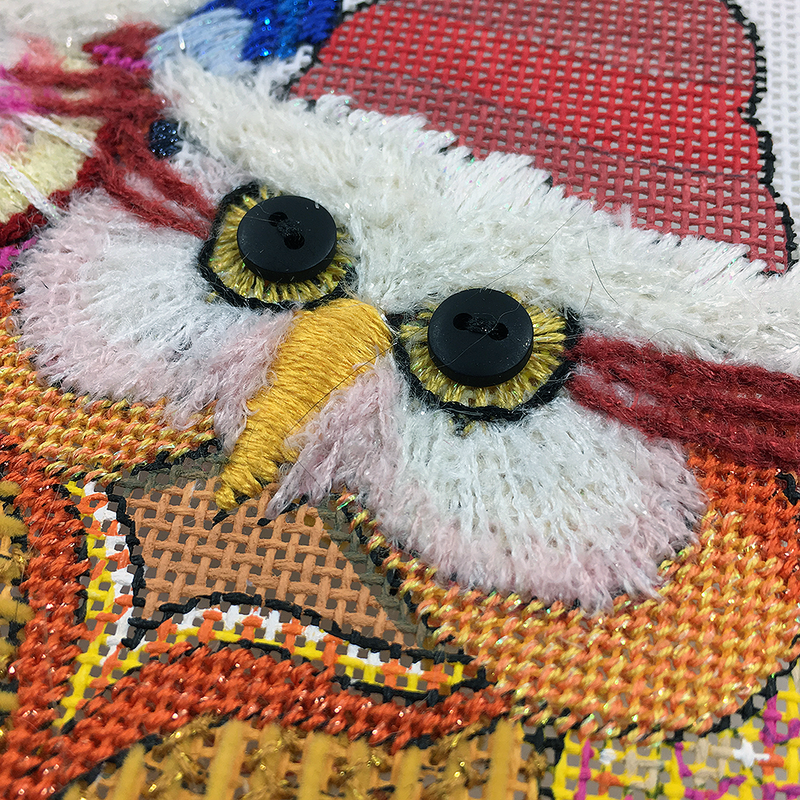 More canvases will be arriving just after the first of the year so if you would like your very own Holiday Owls, give us a jingle at 410.296.0405 or order online here. Hope you are having a happy Sunday. More awesomeness! Love the creativeness in the feathers! And the waves in the hat fit perfectly with those bumpy edges!